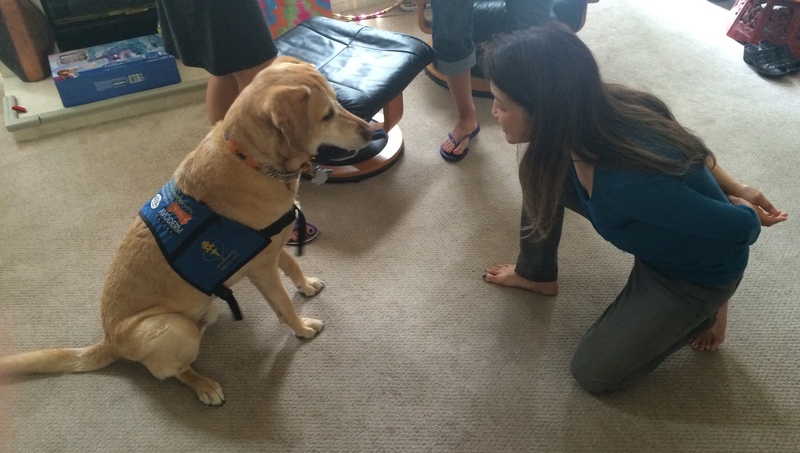 Our support group GNO had the opportunity to visit with Colton, the wonder diabetes alert dog recently. And he was truly amazing! Trained by one of our members, Jessica Ching, Colton wears a special collar. He is able to sense/sniff high, low or changing blood sugars … and then alert his owner by pulling on the tags on his collar or otherwise getting her attention. He is so obedient and sweet. And I understand that when he is flying on an airplane, he frequently alerts his owner because he senses a blood sugar event from another passenger. What a wonderful dog and thank you, Jessica, for bringing him over for a visit! By the way, I will give a free book to anyone (not associated with GNO) who can guess what GNO stands for.